I didn’t release Kankuru for a while but the version 1.3.5 is now available. This new version improve the dashboard with replication, the possibility to ignore messages and many other fixes. If you use replication, you should know it’s important to monitor the distribution log and if you use many publications it can be very difficult to monitor the platform. So in the column “SQL Error”, in addition of SQL Error Log and the Database Mail log, you can now activate the replication log. 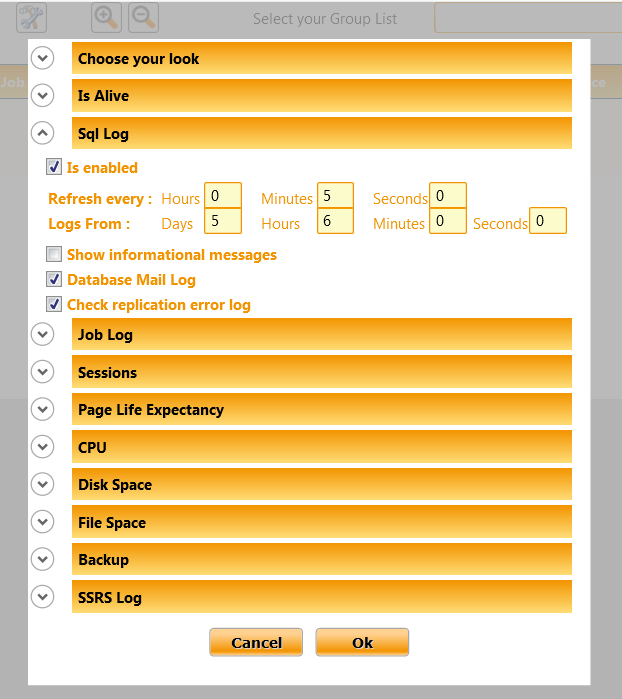 In the dashboard, you have alert in case of new message in error log and job log or session too long. But sometimes this is just normal and you prefer to ignore it. Now you can discard message using the table k_dashboard_discard. Actually, there is no GUI to manage it (maybe in the version 1.3.6). If the column instanceid is NULL then the filter will be apply to all instances. The connection timeout in Dashboard is now 6 second. It was 4 before. 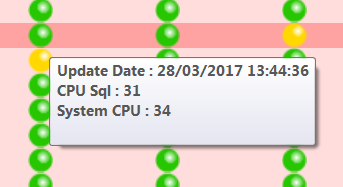 It’s useful if you want to monitor far servers. I fixed the bug with zoom buttons. To have the average cpu usage in dashboard, I’m using the unsupported dmv dm_os_ring_buffers. There were a bug in the query, I fixed it. In the instance name, I added the netname in addition of servername. At the first execution, the last hours was sometime unavailable. This bug is fixed. I commited a fix in SMO to avoid an issue with procedure with multiple plan handle. It’s not directly linked to Kankuru but I’m sure you’re also interested in the community. In January, I spoke at MsCloudSummit about SQL Server continuous integration at Criteo. Slides are available here. In march, I was invited to talk about Kankuru in the first Guss podcast. You can find it on soundcloud. In June, I’ll speak about Powershell and SQL with the French Powershell User Group. Juste une remarque sur le Dashboard AlwaysOn qui ne remonte que le groupe de disponibilité mais pas plus, dommage les screenshots donne envie. Une flèche grise en bas à droite mais c’est tout. Si tu appuies sur ce bouton, il ne se passe rien ? Et non, imagine ma frustration. Côté réseau, je vois bien la requête initiale passer pour récupérer le nom du groupe de disponibilité, puis plus rien après, juste des keep alive. je vais mettre à disposition une version spéciale pour essayer de comprendre d’où vient le problème. Je te contacterai demain par mail pour te donner plus de détail.